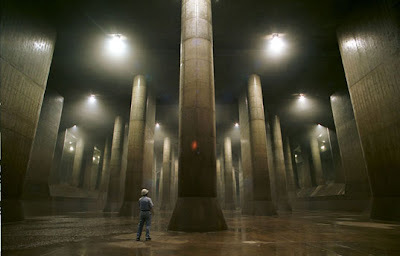 This may look like something from Blade Runner or a film set but is actually a water management solution for the city of Saitama, Japan. 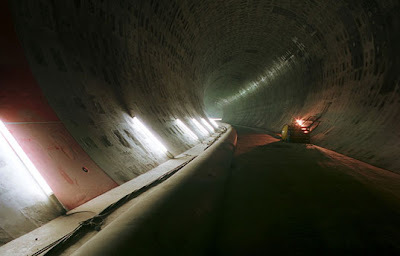 It's called the Metropolitan Area Outer Underground Discharge Channel aka G-Cans. 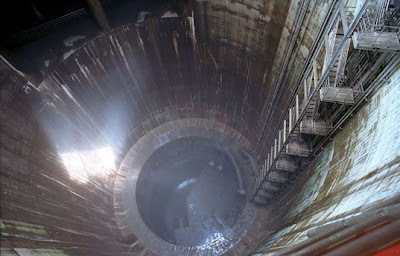 Construction began on the water collecting system in 1992. 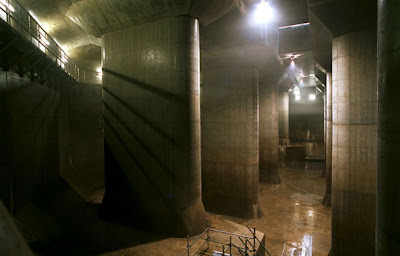 The 6.3km subterranean channel runs from Showa to Kasukabe. The project works started in 1992 and is due to be finished in 2009. 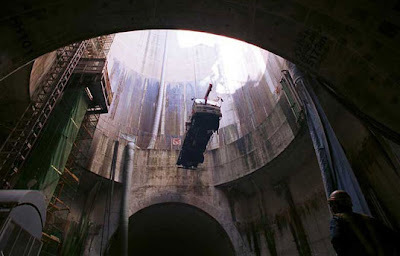 The G-Cans consists of five concrete containment silos with a height of 65 m and a diameter of 32 m, connected by 6.4 km of tunnels, 50 m beneath the surface, as well as a large water tank with a height of 25.4m, with a length of 177m, with a width of 78m, and with 59 massive pillars connected to a number of 10 MW turbines that can pump up to 200 tons of water per second.